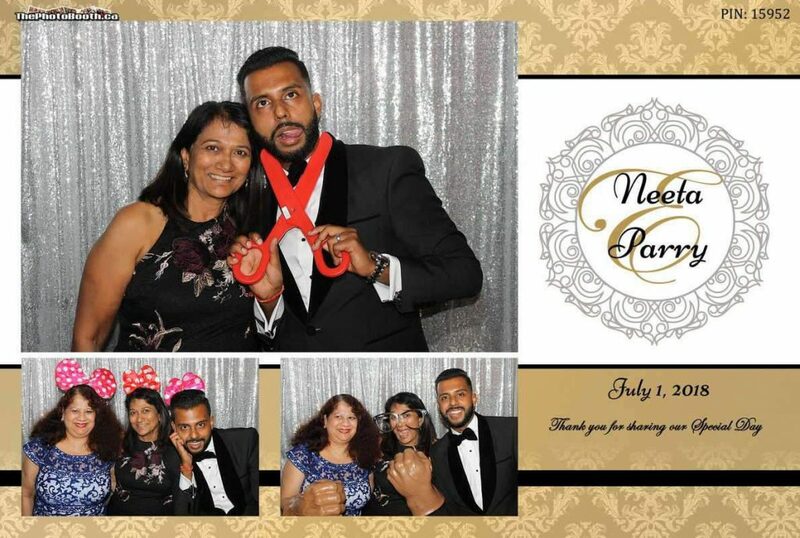 Toronto Brides choose our Photo Booths to give their guests a truly special, memorable experience at the reception. Our photo booths are the most elegant on the market exclusively designed with the graphics shown or in all black. NOT your typical photo booth! We provide a selection of the best props for the guests to use as they keep coming back for the unlimited photo sessions during the our sessions. The laughter from the photo booth is contagious. You can resting knowing your guest are have the time of their lives. Your Guests are going to love it.. We Guarantee it! 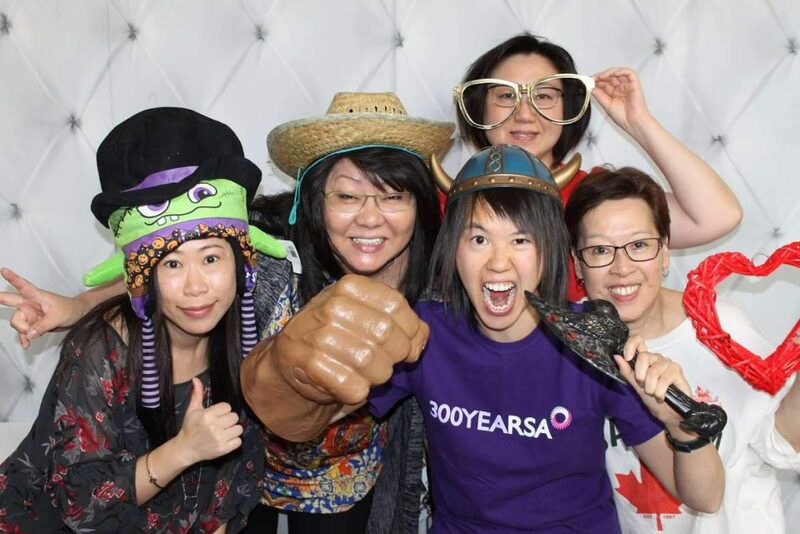 We are committed to creating the perfect experience that people can’t stop talking about how great the photo booth was! 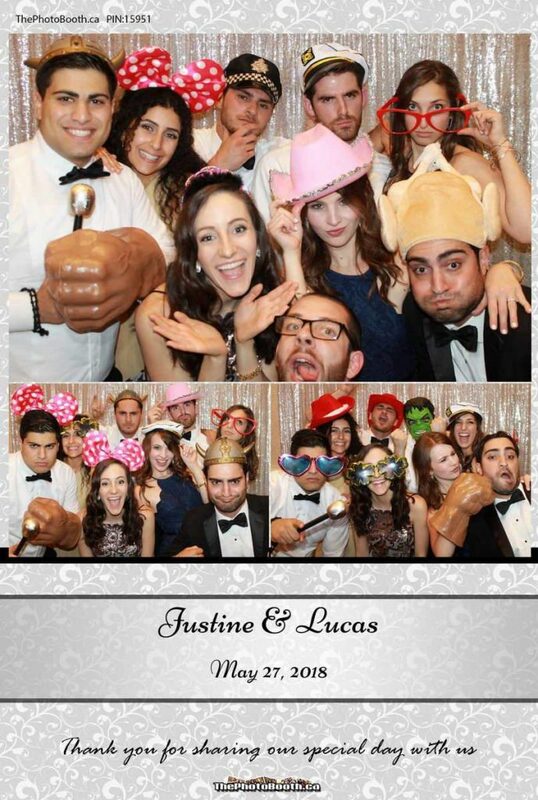 If you have ever been to a wedding, event or party where they have a photo booth, you already know that they are a huge hit with the guests! 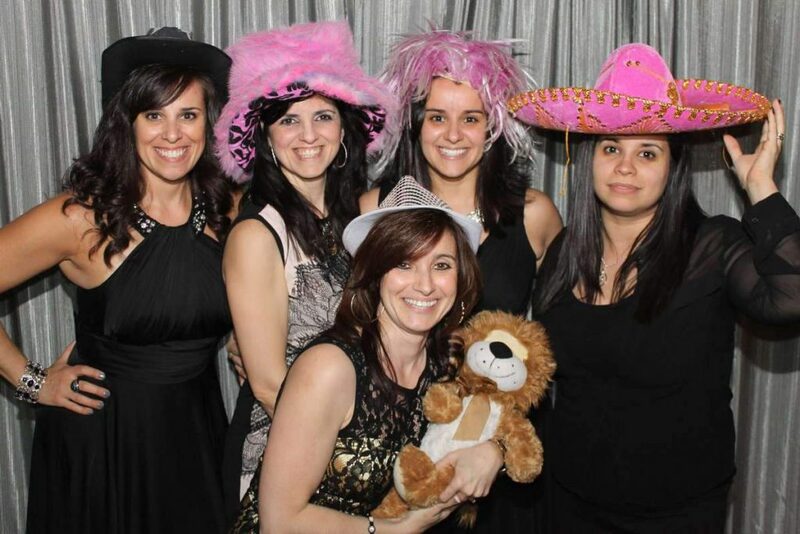 We can set up a photo booth at your wedding, corporate event or party, then watch your guests line up for their turn to take fun pictures! Whether they want to take cute photos or make complete fools of themselves, your guests can go wild and enjoy themselves! 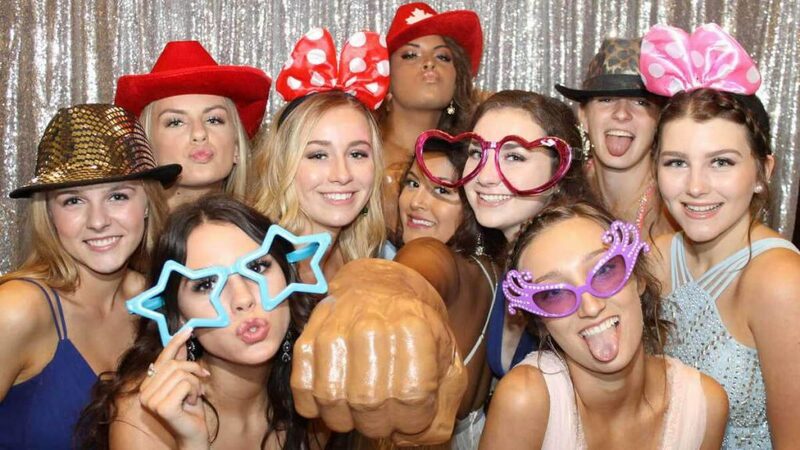 Every party is better with a Fun Photo Booth! The photos all have your custom graphic design printed on the strips that has been coordinated with your wedding theme and your guests get an instant wedding favor. When the reception is over, the memories are saved in the album, in digital format and on our website for the guests to view. At ThePhotoBooth.ca, we’re here for the “FUN”. 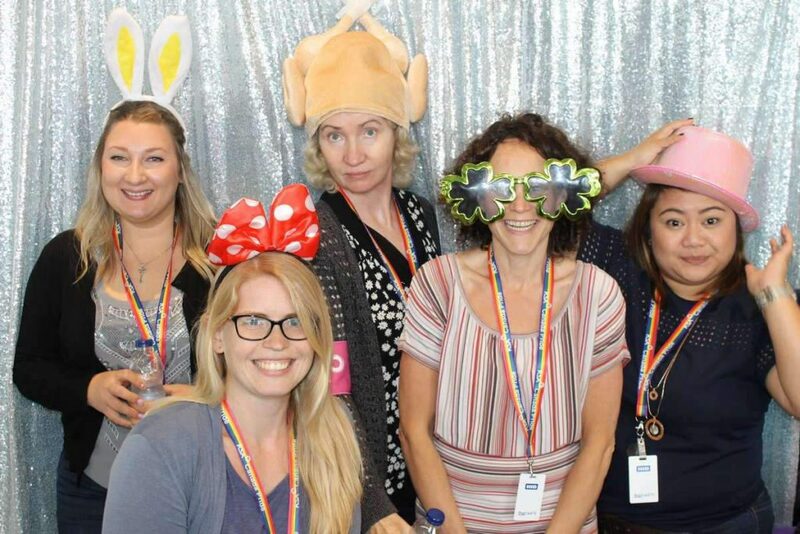 Capture your guests’ unique personalities (and bring out their silly sides!) while giving them irreplaceable memories to look back on. Our custom photo booths provide entertainment, photography, and keepsakes all in one chic package. What if you knew that everyone at your wedding, from your girlfriends to your grandmother, will enjoy themselves with an activity at your wedding? And, better yet, have something to remember it? Drinking and dancing are great—but what will make your wedding truly special? 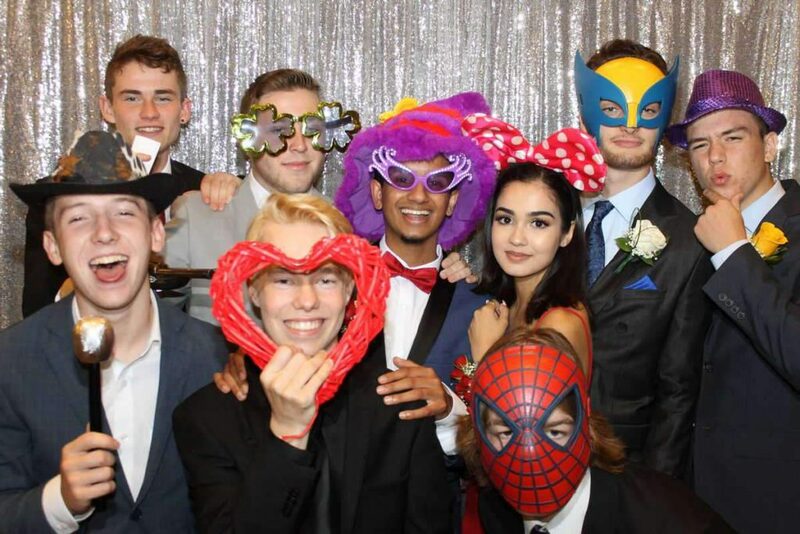 With ThePhotoBooth.ca, your guests will have the time of their lives getting snaps with fun backgrounds, costumes, and accessories. Just like the photo booths of way back when, but with a contemporary twist. No selfie can compare!